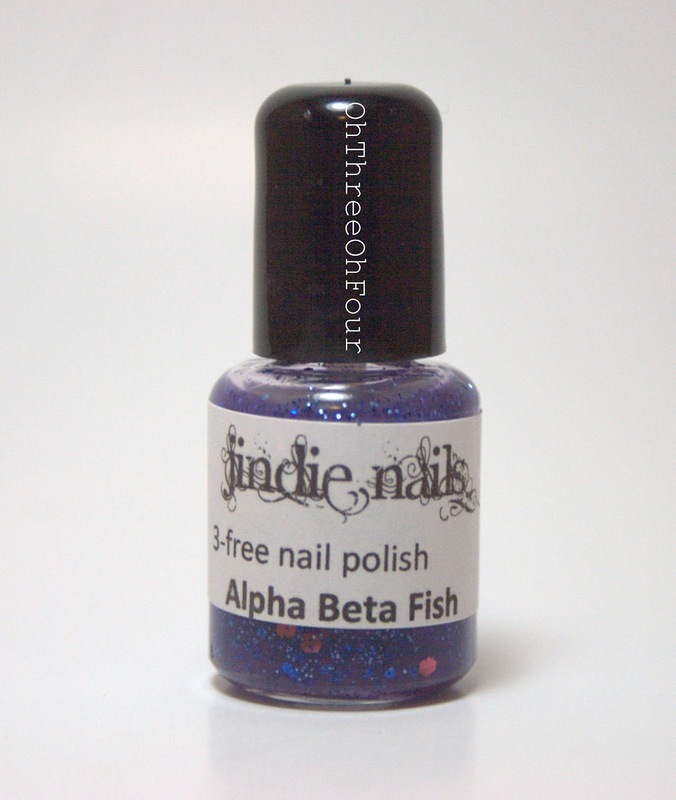 Jindie Nails Alpha Beta Fish has a sheer purple tinted base with a mixture of rose pink and blue small and large glitters. All fingers except my middle finger, are 3 coats of Alpha Beta Fish with no base coat and a top coat of Seche Vite. My middle finger is 1 coat of Alpha Beta Fish over 2 coats of Wet n Wild French White and has a top coat of Seche Vite. Similar to the glitter in Guns & Roses (post here), this polish has glitter that appears to be curling but, I can assure everyone they are not. I get a little crazy when I think I spot curling glitters and swatch them on my other hand, nail wheels and have my husband give his opinion on it. This polish just has some pesky glitters that like to trick the eye. :P Besides those silly glitters, the formula is again another A+ in my book! This weekend Jindie Nails is running a special in her Etsy shop located here, full size polishes are $7 and mini polishes are $4. Today is the last day for this sale so go check it out! Make sure to like Jindie Nails on Facebook here and follow her on Instagram here.